Wondering where you can install your newly bought dryer and washer? You tried to search every corner in your home hoping that there’s some space there that you can convert into your laundry area. To your dismay, you found nothing. But wait, don’t lose hope. Perhaps, you missed out on one spot outside that can offer you the space you are looking for. Have you checked on how huge your garage is? If the garage is clean enough then you can always get some space where you can do the laundry. Here is how you can construct your laundry space within it. Insulation is very important when you want to convert some space inside your garage for your laundry. You have to take note that insulation should be made throughout the entire space, not just that spot where you will install your washer and do the washing later on. Another important thing to remember in this regard is to make sure that a dehumidifier is installed. This will help regulate temperature especially when you have to dry large items. You just don’t construct a laundry space anywhere in your garage. It is important to figure out where the best spot actually is. Consider the area where plumbing is most accessible. It will also be crucial to assess whether there is a space where moist can come out once you make use of the dryer. Once you have looked for the space that meets this requirement then you are all set. Washers and dryers make use of electricity. Therefore, you will need to make sure you have access to electricity in your garage. Check out where you can install the outlets you will need to operate these machines. You can actually do this on your own if you have a background on installing such materials but if not, always seek the help of experts. Do you need a paint job? This is one thing you may need to consider including in your to-do-list if you are to convert a space in your garage for laundry. You may need to paint everything from the ceiling to the walls to the floor. Since you expect water splashing here and there when washing and drying your clothes, you have to choose a paint that offers durability. Epoxy paint is recommended. There are some other essentials that you will need during the construction of the laundry space. One will be additional lighting to make sure you can do the laundry at any time of the day. You may also need to replace or refurbish an existing storage shelves which you can use to store necessary laundry materials from your soaps to your basins and pails. It is also important to make sure that you get rid of unnecessary staff that is hidden in there. 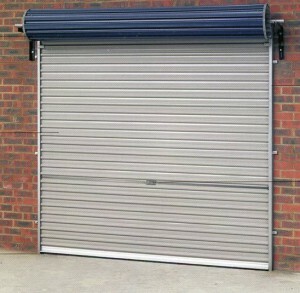 You may also need to replace your garage door to complement the construction of the laundry space. It will be good to consider this step very essential in the entire process as your new door can make the garage even more secure for you and your family. If you are out of budget, a garage door repair will be enough so as to keep the place safe. In this regard, consider hiring our services for garage door repair in Vaughan. We can make sure that you no longer have to worry about securing the new items you have installed in your garage for laundry purposes. Sleep tight at night without thinking much about what’s happening in your garage with the repair we will make!